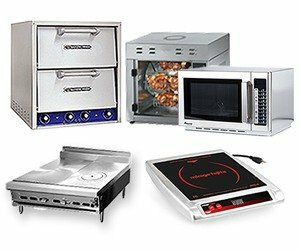 Hot plates are available in 1, 2, or 4 burner styles, and come equipped with a range of settings so you can utilize them a variety of applications. They're great for keeping foods warm on buffets or outdoor events, or as an extra burner when there are lots of pots going at once. Available in gas or electric models.